Dudley Farr Cox, born at Malvern Link was for some years in the employ of Mr T W Holden, architect and when he enlisted held an appointment at the Land Valuation Office. He was reported missing on 1st July, the 1st Day of the Battle of the Somme, However but contacted his parents at Spring Cottage, Malvern Link stating he was wounded and a prisoner of war in Germany. The postcard was dated 8th July, and was received 29th August, but three days after sending this communication he was dead. The 2/1st London Field Coy RE were attached to the newly formed 56th (1st London) Division at the end of January 1916. 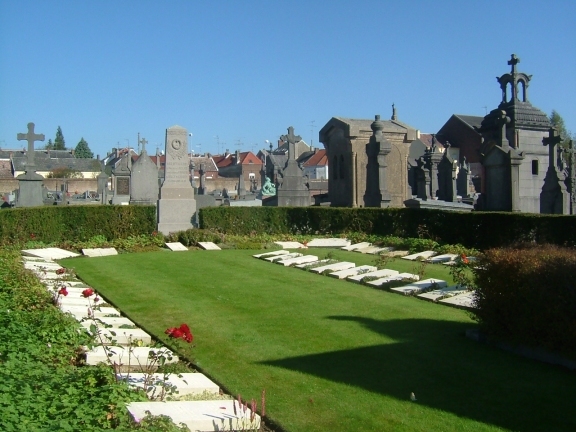 The spent some time bedding to the rear of Arras before moving into position for the division’s attack on Gommecourt. This movement took place at the beginning of May. The 2/1st, commanded by Maj Johnstone, were heavily involved in the planning and construction of a complete new front line trench and communication trenches, etc., dug by the 167th Brigade in the middle of No Man’s land on the nights of the 25th, 26th and 27th May. This was completed with very few casualties. They were then further involved in the completion of these trenches, the creation of machine gun and trench mortar positions, the laying of railway lines into the heavy batteries to the rear, etc. On the 1st July, parties of two of the Royal Engineer Field Companies attached to the 56th Division went over with the lead battalions. Their main task was to have been the building of a series of strongpoints in what was to become the new British front line but, as the attack stalled and came under heavy counter-attack, the RE men joined in with the infantry in defending their precarious positions. No. 1 Section, 2/2nd London Field Company, Royal Engineers went over with the 168th Brigade on the right of the attack. Men of the 2/1st London Field Company accompanied the 169th Brigade on the left of the attack and the men of the 1st Edinburgh Field Company remained in the British trenches under heavy shell fire, preparing for an advance that never came. 11 men of the 2/1st were either killed or died of wounds in the attack. 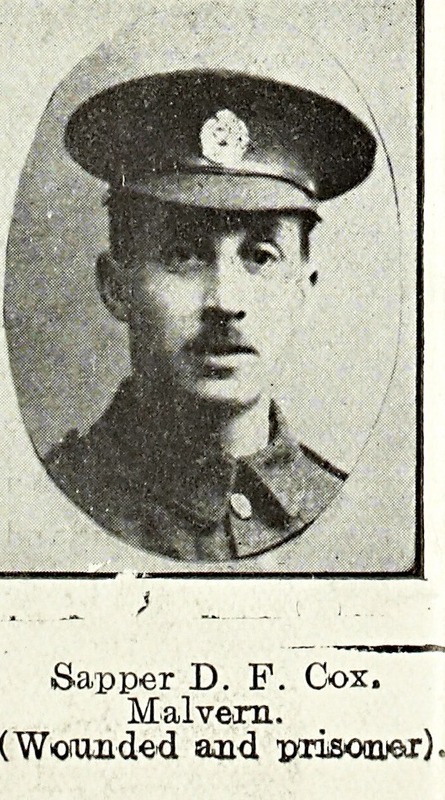 In November 1917 he was officially reported to have died of wounds in German hands. He was buried in a cemetery in Caudry, near Cambrai. This village, captured in August 1914 and held by German forces until October 1918 was used as a centre for medical units – so despite being a prisoner he was never taken as far as Germany as the Malvern News, reported. Indicative of army bureaucracy, Cox was allotted a Territorial 6-figure number in the changes of early 1917, despite having been missing for 8 months, and in fact being dead for that period. Information moved desperately slowly in the Great War, even within the British Army, so communication between the warring parties was obviously even more protracted.